[New for 2017] Anybody ready for the 2018 ice cream season yet? I know I am. 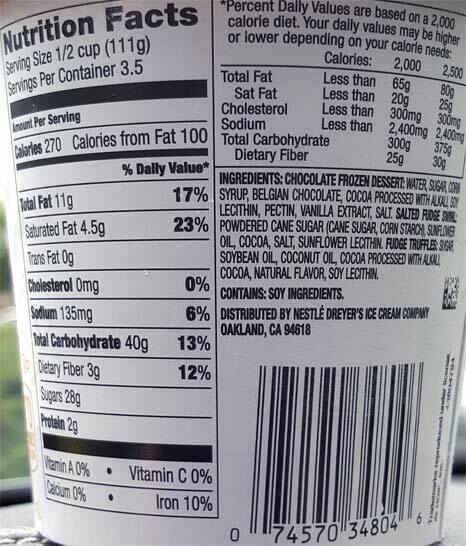 I wound buying this pint because (one) it was on sale and (two) I just wanted chocolate. 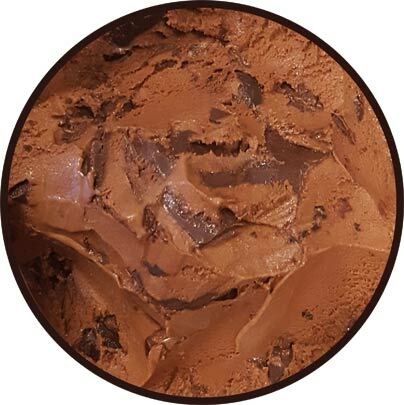 "rich belgian chocolate with swirls of salted fudge and chunks of fudge truffles "
After several minutes of tempering, it makes a surprisingly good first impression. Basically it's a triple chocolate threat with the three different and omnipresent chocolate components. The chocolate swirl is definitely salty. The truffles are fairly typical. The base is actually fairly flat if you can get it alone. I've thrown "tootsie roll" flavored out there for other products and I think that would some up the base pretty well. The base kind of reminds me of chocolate polish ice actually. I'll admit that yes it's a little weird, but what it lacks in normalcy, it makes up for in #funfactor. I think of that awful cumberland farms chocolate bash flavor and it helps me appreciate this one more. Am I saying you will love this? No, not at all, but it's better than I expected. There is a bit of oddness that I can't identify yet. I want to say that one of the components is lingering oddly. I apologize for not being specific, but maybe someone out there has tried it and can quantify it a bit better. 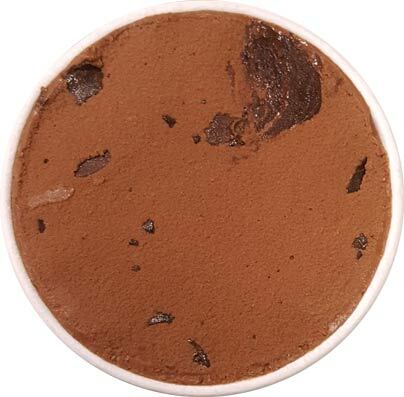 This one might be a slow scooper as those first few bites were a nice chocolate kick for a slow afternoon. I don't foresee wanting to devour a pint like this since it does deliver a robust chocolate experience from the get go. I guess we'll see how I feel on the second scoop. On Second Scoop: I still kind of like but kind of don't like this one. There's definitely a lot of chocolate which is a plus, but there is a weirdness to it. I had less than a serving and I was good. I don't think it's the kind of pint where you really need a ton of it, but at the same time, at no point have I wanted a ton of it. Anyone want to chime in with their thoughts here? Final Scoop: Just like the pb version, this one wore me out over time. There's just something odd going on and I don't appreciate it. I wound up not finishing the container. Didn't you once say this stuff is basically sorbetto? If all it is, is chocolate and water, then I can see why it would taste like a tootsie roll. I hate tootsie rolls, so this one is not for me. I'm also tired of salted caramel/salted chocolate, but Kroger just released a non-dairy almond milk frozen dessert line, and one of the flavors is, you guessed it, "salted caramel". I like salted caramel as a supporting player occasionally, but not the primary flavor. And I don't want salt on chocolate at all. I probably called the other one sorbetto, but yeah, this one is basically sorbetto too. I think in one review I mentioned that "non-dairy" is much more in fashion that sorbet. Sorbet sounds like something they enjoyed in the 20s (no offense to people who enjoy sorbetto, it's just the times we live in). I don't think I've enjoyed a tootsie roll since I was... iunno, a long time ago. I'm glad you reviewed this one, but you failed to mention that their pints are no longer pints. They've shrunk from 16 ounces to 14 and, in my area, gone up in price at the same time. I'll be buying Stewarts & Ben and Jerry's from now on! 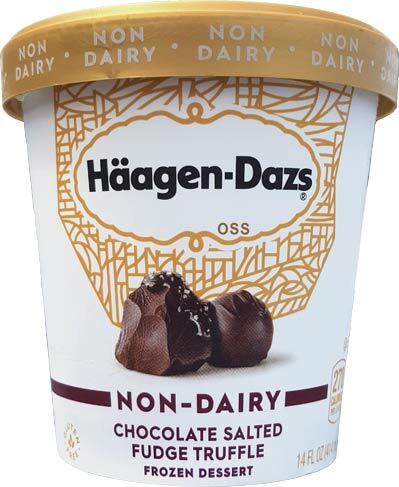 OMG, Haagen-Dazs isn't pints any more??? NO!!!! CURSES!!! Oh wait, the change to 14 oz containers happened almost a decade ago... where have you been? I picked this up at Target today and I was impressed. 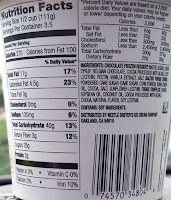 I loved the chunks, and the flavors were very convincing for nondairy- tasted like those Midnight Truffle blizzards. I kind of wish it was a little saltier. It is VERY rich and flavorful, which is impressive!